Economic data showing mild inflation amid rising employee compensation, along with reassuring testimony before Congress by the new Federal Reserve chair, was overshadowed by stock market volatility this past week. While worries about a trade war dominated headlines, newly released data showed that inflation in January did not shoot higher as many had feared, and healthy growth in wage gains was reported. 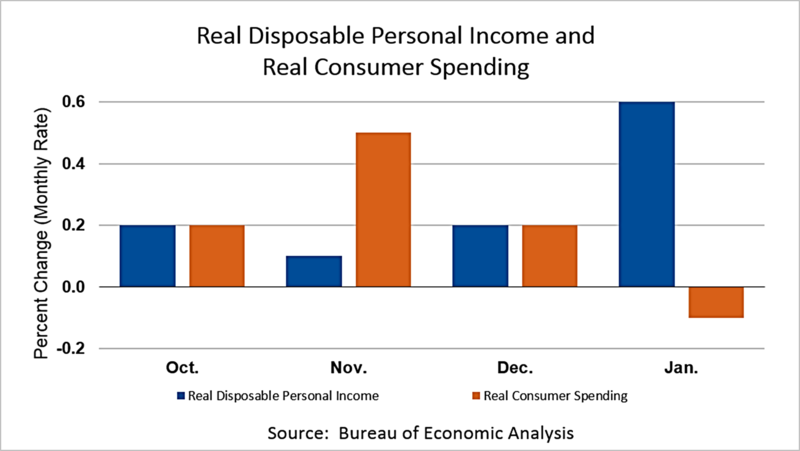 Personal disposable income soared in January. The effects of the federal income tax cut are starting to coarse through the economy, and that means rising spending is in the pipeline. That boosts economic growth, which leads to higher corporate earnings. Significantly, the inflation indicator watched closely by the Fed - the personal consumption expenditure deflator - remained unchanged in January from December 2017, at 1.7%. Fears of a surge in inflation were blamed in early February for a sudden change in investor sentiment and stocks plunged by more than 10% early in February before recovering much of the loss. The new data showed fears of a surge in inflation were unfounded. 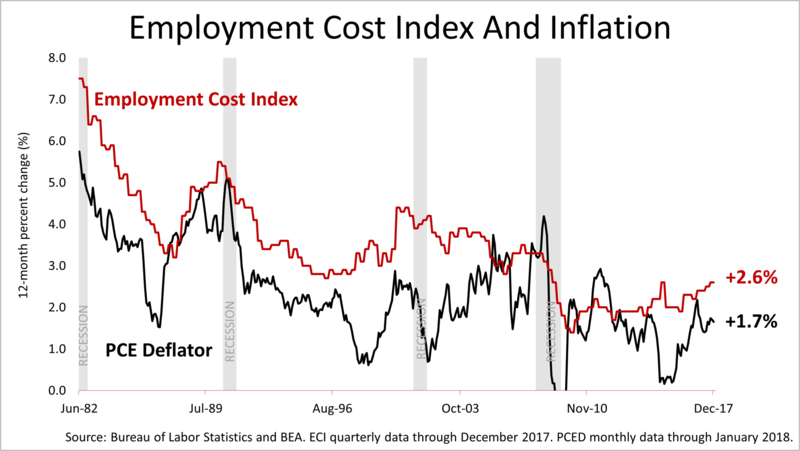 Real income growth with low inflation keeps the cost of hiring employees down, as shown in the employment cost index. This could mean productivity is growing. It will take more time and data to confirm if productivity growth is underway, but productivity is an important and somewhat mysterious factor in economic growth and this trend could be significant. Meanwhile, purchasing managers at manufacturing companies reported an uptick to already strong orders. 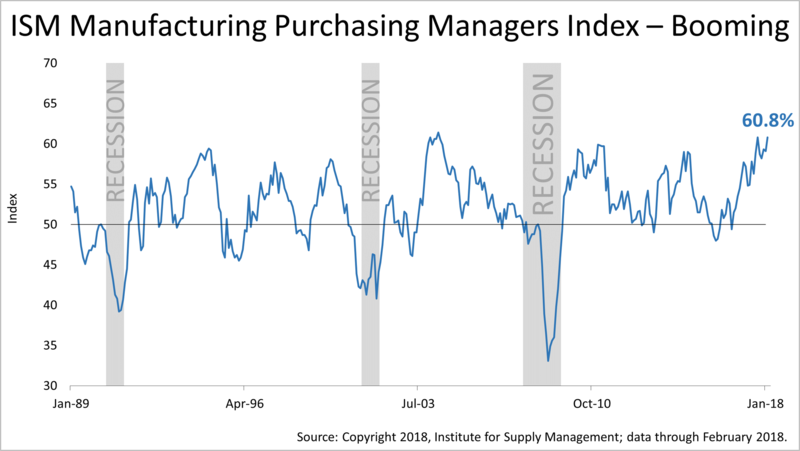 At 60.8%, the purchasing managers at manufacturing companies are reporting that activity is about as strong as it's been in over two decades. The PMI has historically slumped to a reading less than 50% just before the economy slid into recession in the past. While some talking heads on TV say a recession is on the way, this index belies any such notion. Amid the benign inflation outlook and continued signs of economic growth, the Fed did not change plans for slow and steady rate hikes, according to Jerome Powell, the new Federal Reserve chair. In testimony before the Senate on Thursday, Mr. Powell said the Fed expected inflation to only gradually trend back toward its 2% target. 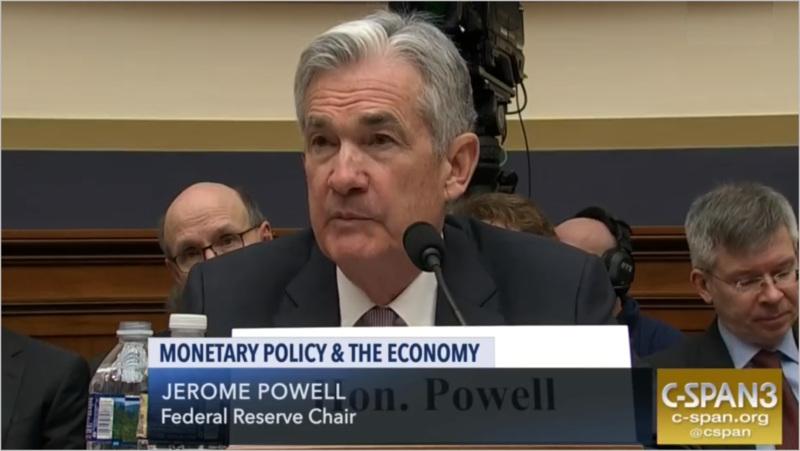 At his first major public appearance since taking the helm at the Fed three weeks ago, Powell's remarks reflected the same outlook voiced by his predecessor. Since every recession of the post-World War II era was caused by a Fed policy mistake, the new Fed chair's message of a very steady monetary policy was reassuring, though it did not make big headlines. 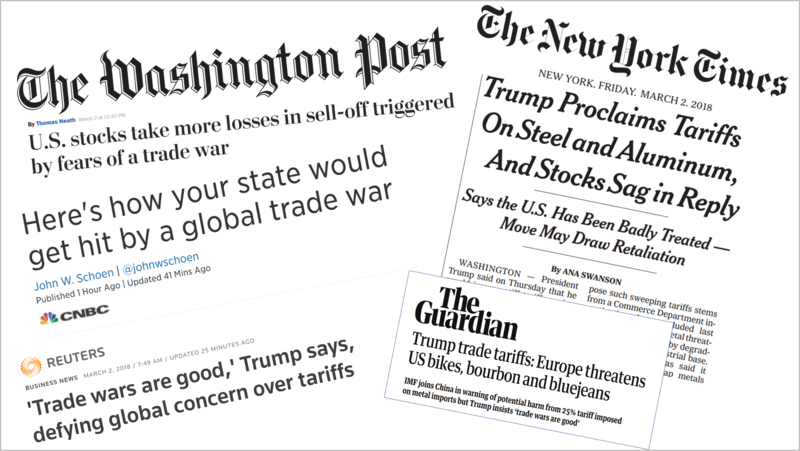 The Standard & Poor's 500 had a turbulent week, plunging more than 1% Thursday, after President Trump said he would slap a 25% tariff on imports of steel and a 10% tariff on foreign aluminum. On Friday, the S&P 500 closed at 2691.25, about 6% off its all-time high. 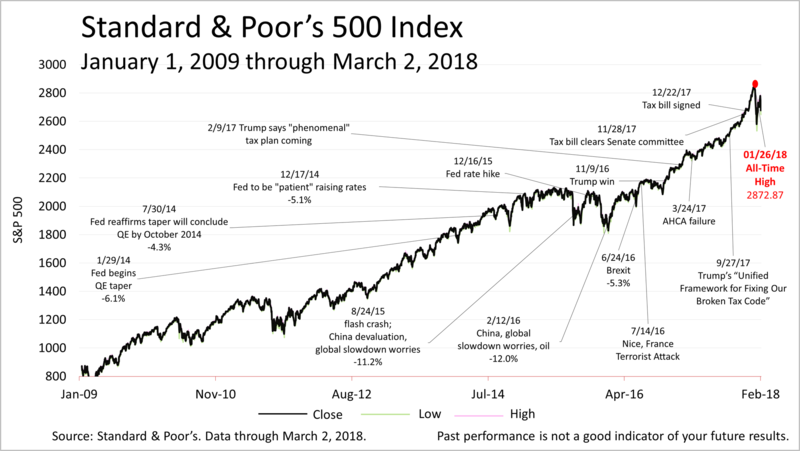 With the economy showing signs of strength and stocks valued fairly, stock volatility is likely to remain subject to emotion, headlines and increased volatility. BLS Employment Cost Index is built with fixed weights for individual industries and occupations. This article was written by a professional financial journalist for newmyleswealthmanagement and is not intended as legal or investment advice.